At a meeting held in Vilnius on Friday, the Ministers of Defence of Estonia, Latvia and Lithuania discussed the development of defence cooperation both among the three countries themselves as well as within NATO and the EU. In 2019, Estonia will be the lead country responsible for coordinating defence cooperation in the Baltics. 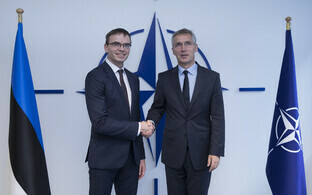 The three ministers emphasised that Europe's security is ensured by a united NATO and strong transatlantic relations. EU defence initiatives can only be complementary to those, said Minister of Defence Jüri Luik (Pro Patria). 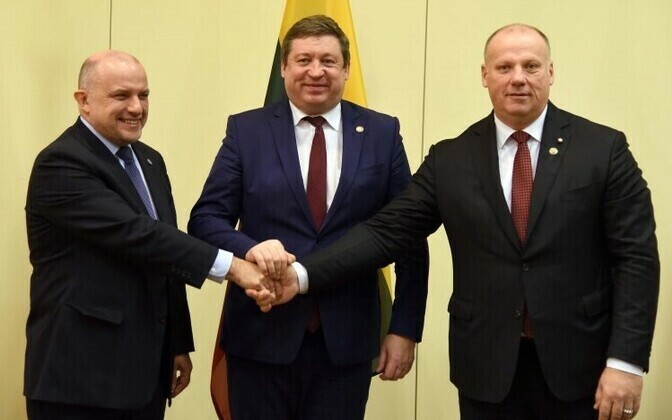 Explored at the meeting was the topic of Estonia, Latvia and Lithuania's defence cooperation with the US, as were means of bringing additional troops into the region in the event of a crisis. Luik also provided his Baltic colleagues with an overview of Estonia's proposals regarding the conduct of Baltic Host, an Estonian-, Latvian- and Lithuanian-led exercise in the hosting of allied troops arriving in the region, from 2019-2023. Under the guidance of Estonia as the lead nation of Baltic defence cooperation next year, emphasis will be placed on the mutual coordination of various defence policy topics, cooperation in capability development, cyber cooperation, and the updating of the operation principles of the Baltic Air Surveillance Network (BALTNET). On Saturday, the defence ministers met with Commander of the US Special Operations Command Europe (SOCEUR) Maj. Gen. Kirk Smith and Commander of NATO Special Operations Headquarters (NSHQ) Vice Adm. Colin Kilrain, with whom they discussed the state of play in as well as the future of cooperation between the special operations forces of the Baltics, the US and NATO. 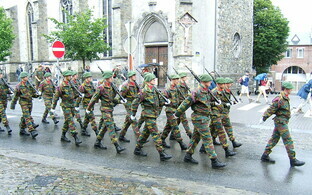 In addition to this meeting, Luik also attended a parade held on the occasion of the 100th anniversary of the Lithuanian Armed Forces as well as a reception hosted by Lithuanian Minister of Defence Raimundas Karbolis and Commander of the Lithuanian Armed Forces Lt. Gen. Jonas Zukas. 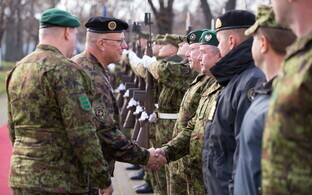 Estonia, Latvia and Lithuania are linked by several projects in defence cooperation, such as the Baltic Defence College located in Tartu, BALTNET, the BALTBAT cooperation framework for armed forces, as well as cooperation in several other fields as well.